So you've got a program that causes problems on your computer, or you have some other reason for not wanting a specific program to be installed on your computer. For example, Google is very pushy about its Google Chrome web browser: it's very easy for other users to click the button to install it, but you don't want that to happen (because, for example, you have already installed another web browser and you don't want to clutter your hard drive with software that no one is going to use anyway?) 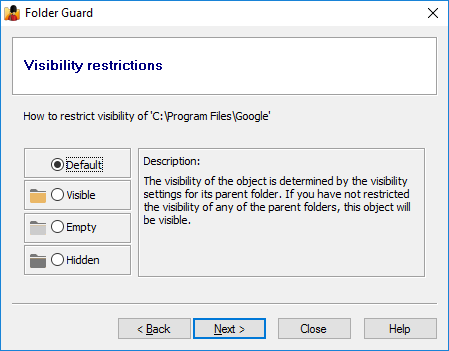 Wouldn't it be nice to remove the ability of the users to install that specific program, without getting in the way of other programs to work on your computer? It's pretty easy to achieve with Folder Guard. 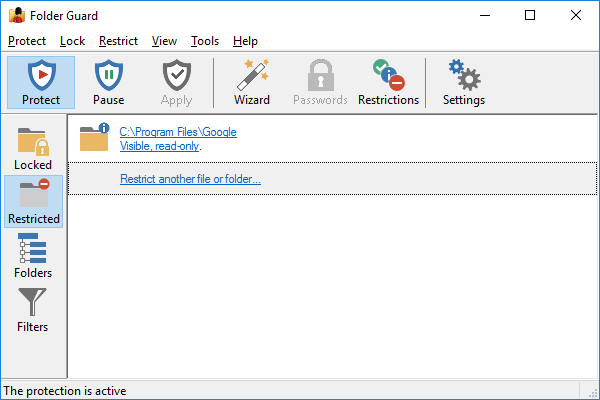 All you need to do is restrict access to the folder in which the program is usually installed. 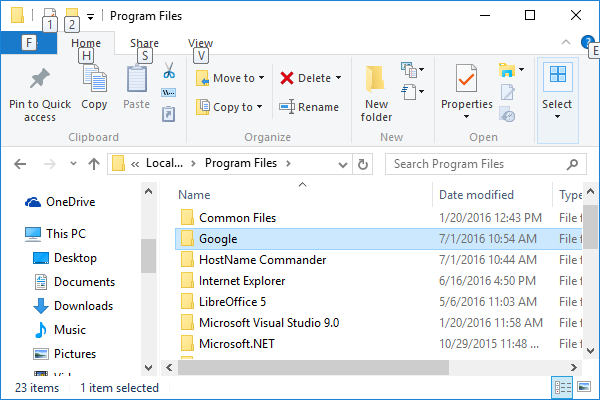 If the program cannot create files into its program folder, it would not be able to install! 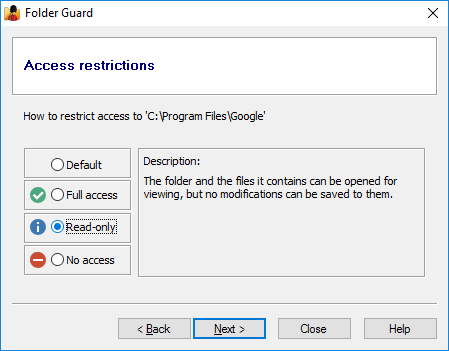 Now run Folder Guard and use it to set up the read-only access to the Google folder. Such a restriction prevents modifications to the folder, including creating new files in it, which is exactly what we need. 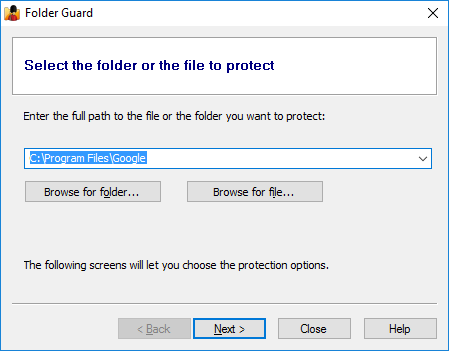 The same steps can be used to prevent installing other programs, as well, as long as they don't allow the user to change the installation folder. 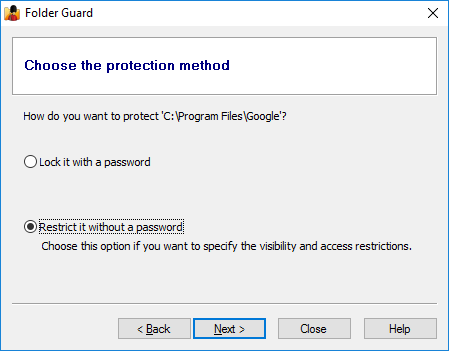 If you want to prevent installing a program that does allows that, a different approach should be used.